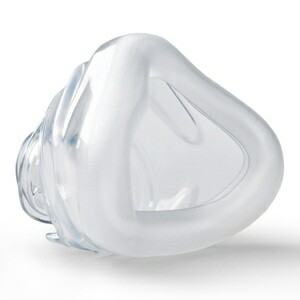 In addition the Simplicity's built-in exhalation port produces a quiet exhalation flow eliminating airflow to the eyes and dispersing air gently without disturbing the CPAP patient or bed partners. 360 Dagree swivels at the top and bottom of the tubing allow the tube to twist more freely during active sleep. 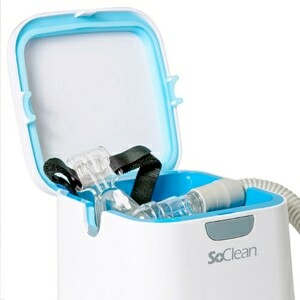 Integrated exhalation port disperses air creating a quiet airflow without the need for additional valves or ports. Mask cushion is made of soft, pliable silicone that gently contours around the tip of the noes to provide a snug comfortable seal. 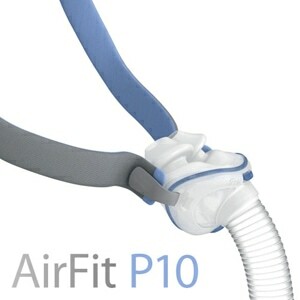 Flexible, lightweight tubing is permanently attached to the mask and connects easily to standard CPAP and BiPAP hoses and tubing. 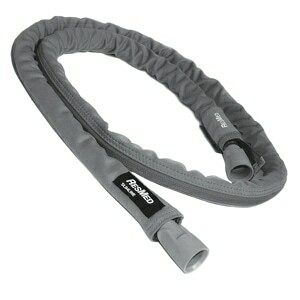 Stability Clip on the tubing may be attached to sleepwear or headgear for added support. Soft, flexible Neoprene headgear features a unique five-strap design that evenly distributes tension, adds stability, and helps prevent mask leaks. 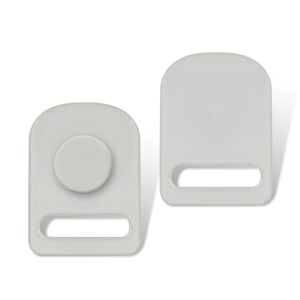 Velcro tabs allow easy adjustment for a custom fit.